Midtre Lovénbreen is situated in the Kongsfjorden area in the north-western part of Spitzbergen, Svalbard. 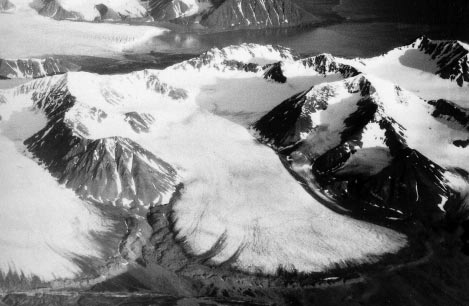 It is a valley glacier extending from 650 to 50 m a.s.l. Its surface area is 5.4 km2 (2011), and it is exposed to the north-east. Average annual precipitation at the nearby meteorological station at NyÅlesund (40 m a.s.l) is just below 400 mm. 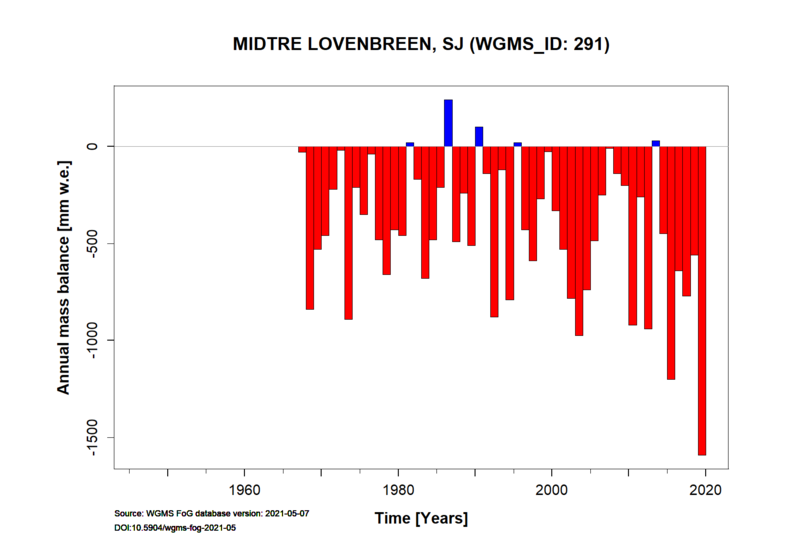 Annual mean air temperature at the equilibrium line at about 300 m a.s.l. is close to -8°C. Like Austre Brøggerbeen, Midtre Lovénbreen is surrounded by continuous permafrost. 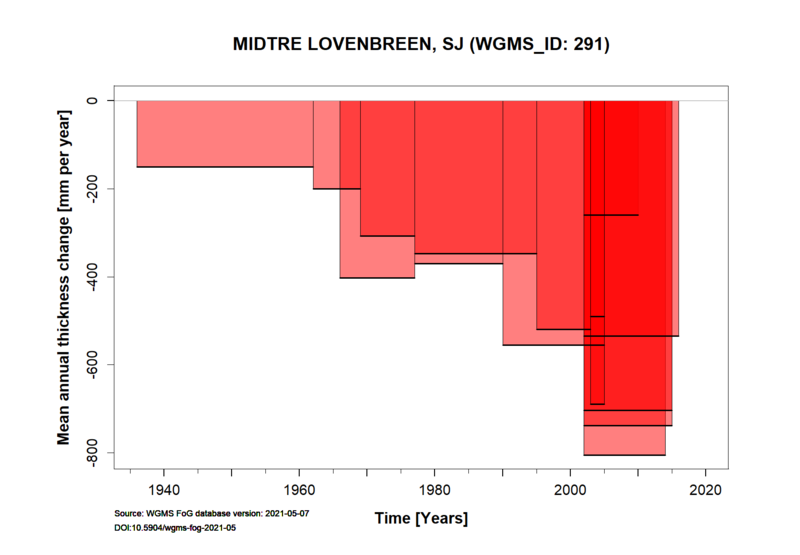 However, Lovénbreen is thicker and partly temperate. Height min: 50 m a.s.l. Height max: 650 m a.s.l.